Energy entrepreneurs now have the opportunity to pre-apply to participate in the second Innovation Crossroads cohort. The program at Oak Ridge National Lab, in partnership with the U.S. Department of Energy, is providing a runway for innovators who will disrupt the energy economy. Innovation Crossroads matches aspiring early stage energy researchers with the experts, mentors, and networks in technology-related fields to take their world-changing ideas from R&D to commercial applications. The first cohort of entrepreneurs was announced earlier this year. Through an annual call, up to five entrepreneurs will be selected to work at Oak Ridge National Lab and transform their ideas and bring new ideas to the lab with financial support from the U.S. Department of Energy’s Office of Energy Efficiency and Renewable Energy (EERE). Innovators will receive a fellowship that covers living costs, benefits and a travel stipend for up to two years, plus substantial financial support for collaborative research and development at ORNL. Each innovator will also be paired with a doctoral student from the University of Tennessee’s Bredesen Center for Interdisciplinary Research and Graduate Education for assistance with market research and customer discovery. To pre-apply for the second Innovation Crossroads cohort, click here. The official application will open Tuesday, September 19. 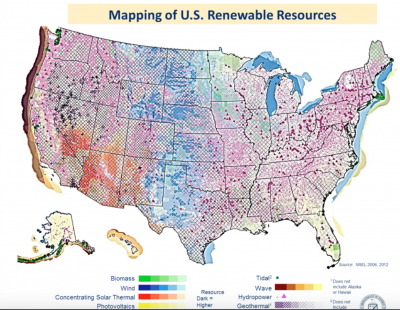 The U.S. Department of Energy (DOE) hosted a “Regional Energy Technology Innovation” webinar in late September inviting leading research universities to present their findings examining the clean energy technology innovation in their respective regions. The universities held forums earlier this year and each forum was attended by leaders from federal, state, and local governments; industry, DOE national laboratories; academia; and nongovernmental organizations. The forums highlighted the differences among regions in terms of their energy needs, resources, and vulnerabilities; customer demands, markets and capabilities. A key conclusion of the regional forums is that clean energy solutions must be tailored to meet regional needs. These forums were held in part of DOE’s “Mission Innovation.” Mission Innovation is a multinational initiative to dramatically accelerate public and private global clean energy innovation that was announced at the United-Nations climate-change conference in Paris on November 30, 2015. During the webinar, six different regions of the U.S. including the mid-atlantic, southwestern, northwestern, northeastern, midwest, and southeastern made presentations and spoke about the key takeaways, opportunities, priorities, challenges and next steps within their regions to achieve the driving force needed for maximum clean energy technology innovation. The southeastern presentation was done by the University of Tennessee at Knoxville. The university’s vice chancellor of research and engagement, Dr. Taylor Eighmy, spoke about how the southeast’s area of expertise involved government-university-industry-national lab collaboration as well as rapid innovation and tech to market movement. Dr. Eighmy said some of the major opportunities for the southeast include supportive state governments and a supportive investment community and innovator ecosystems. The southeast also has a strong industrial influence and their supply chains are beneficial. According to Dr. Eighmy’s presentation, some of the main priorities and clean energy research and development focus areas for the southeast include advanced manufacturing, integrated grid management, bio-derived fuels and CO2 capture, nuclear energy and sustainable smart communities. However, one of the greatest challenges the southeast faces in terms of advancing clean energy technology innovation is a need for improved business processes focusing on the speed of connecting industry to science and technology. As the southeast moves forward, it will direct strategic collaborations tied to regional innovation needs, workforce needs, and especially innovation accelerators and private/foundation investment efforts in the clean energy technology space. The nation’s commitment to grid modernization continues to pick up speed, with significant advancements being made in East Tennessee. On the heels of the Department of Energy’s (DOE) announcement of a commitment to $200 million for more than 80 projects to modernize America’s grid, TAEBC Charter member, Oak Ridge National Laboratory (ORNL) introduced earlier in February a new approach to batteries that shows significant promise for grid usage. ORNL’s battery approach uses inexpensive and plentiful aluminum and lithium – containing cathodes to increase capacity, cycling performance, and safety. According to ORNL’s release, the hybrid battery uses aluminum as the anode – a negative electrode – instead of lithium or graphite. It also uses a new cell design that significantly reduces the problem of corrosion caused by the strong acidic nature of electrodes. 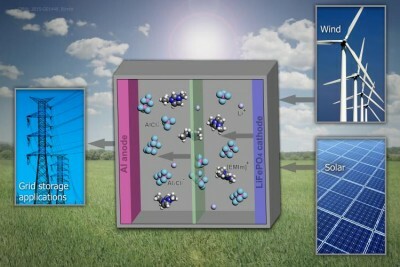 All of this research work, published in the journal Chemical Communications, results in a battery that potentially offers alternative energy storage devices for multiple applications at a lower cost. That’s good news for the nation’s progress toward grid modernization. ORNL is expected to be involved in more than 25 of DOE’s 80 funded grid projects, with the scope of work to include transformer research, analysis, and testing. Grid modernization efforts explore the concept of microgrids, a localized group of electricity sources and loads that can disconnect and function on their own, separate from a traditional centralized grid. 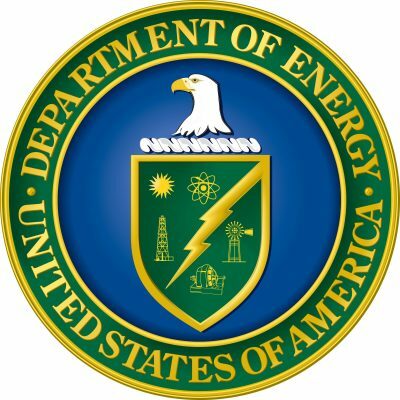 DOE says increased funding is being made available to further strengthen ongoing efforts to improve electrical infrastructure in order to respond to the nation’s energy needs for decades to come. As progress continues to be announced about grid modernization efforts, TAEBC will keep members updated on the latest from ORNL and DOE. With a new year well underway, it’s time for the Tennessee Advanced Energy Business Council (TAEBC) to take inventory of 2015’s successes while charting a course for 2016. TAEBC has grown to become a leading voice for our advanced energy economy, championing both the state and national opportunities to capture our more than fair share of the $1.3 trillion global advanced energy market. From hosting Assistant Secretary David Danielson and Deputy Assistant Secretary Reuben Sarkar to an invitation to the White House and releasing the state’s first Tennessee Advanced Energy Economic Impact Report, 2015 proved to be a year in which the TAEBC voice was heard clearly on a state, regional and national level. In anticipation of our annual membership meeting in Nashville, TAEBC shares our top 10 accomplishments from 2015. 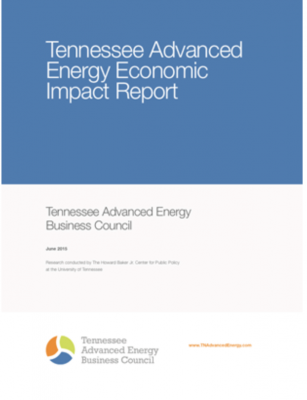 Tennessee Advanced Energy Economic Impact Report, the first document of its kind that defines the scope and scale of the state’s advanced energy sector and quantifies its economic impact. The report received statewide media coverage and recognition of advanced energy as an economic driver for Tennessee and a source of high quality jobs. U.S. Department of Energy Assistant Secretary David Danielson Listening Session in Chattanooga, creating an opportunity for members to provide input on how DOE can continue to impact our economy. White House Forum on Connecting Regional Innovation Ecosystems to Federal and National Labs, attended by TAEBC President Tom Ballard with the purpose to ensure that federal labs continue to do more for regional economies. Tennessee Valley Authority’s Integrated Resource Plan (IRP), which looks at how TVA will meet energy needs over the next 20 years. A group of our members formed a small sub-committee and worked together to draft and submit comments relevant to our mission— advanced energy as an economic development strategy. TVA’s newly formed stakeholder group, “Distributed Generation – Information Exchange.” TAEBC was selected to serve on this stakeholder group, sharing industry expertise to inform TVA’s distributed generation policies. American Energy and Manufacturing Competitiveness Summit & Annual visit to Washington D.C. TAEBC delegates met with representatives from the U.S. Department of Energy and Senator Lamar Alexander and Congressman Chuck Fleischmann. “Opportunities in Energy” with U.S. Department of Energy Deputy Assistant Secretary for Transportation Reuben Sarkar, featuring panel discussions on advancements in the automotive industry, advanced energy job growth, and power generation. DOE Director of the Office of Economic Impact and Diversity at Oak Ridge National Laboratory and minority business owners. TAEBC presented to this group, showcasing how advanced energy can be used as an economic development tool. Clean Energy Manufacturing Initiative’s (CEMI) Southeast Regional Summit, hosted by DOE. TAEBC spoke to manufacturers, innovators, and federal and regional resources about our unique approach to advanced energy as an economic development strategy. Welcome new members: Schneider Electric, Tennessee Department of Environment and Conservation, Windrow Phillips Group, Dr. Bill Carswell, Hitachi, One Scientific, Trane, Shoals Technologies Group, Bradley Arant Boult Cummings, LLP, Cherokee Farm, Dadeni Solar, LLC, Alstom (Charter Member), Nazzy Hashemian, and Balfour Beatty Investments. Without a strong membership, TAEBC could not be the successful organization it is today. An organization with a powerful mission of fostering the growth of Tennessee’s advanced energy technologies, companies and jobs, helping the state gain its fair share of the global $1.3 trillion advanced energy market. Save the date for the next membership opportunity, Wednesday, February 10th in Nashville, and help plan for a successful 2016. When world leaders gathered in Paris at the end of last month to launch Mission Innovation, they collectively announced a commitment to accelerate clean energy innovation. According to the leadership’s mission, each of the 20 participating countries, including the United States, will seek to double governmental and/or state-directed clean energy research and development investment over the next five years. New investments will be focused on transformational clean energy technology innovations that can be scalable to varying economic and energy market conditions that exist in participating countries and in the broader world. As the Tennessee Advanced Energy Business Council (TAEBC) continues to champion the state’s advanced energy sector, efforts like Mission Innovation are anticipated are critical. Mission Innovation recognizes, as does TAEBC, that entrepreneurs, investors, and businesses drive innovation from the laboratory to the marketplace. So far, 28 investors from 10 countries have joined the Breakthrough Energy Coalition to make an unprecedented commitment to invest capital in early-stage technology development that evolves from Mission Innovation breakthrough countries. The Breakthrough Energy Coalition, composed of more than 20 leaders in industry, investment, business and philanthropy from throughout the world, will work together based on the tenet that technology holds the key to clean energy. Scientists, engineers, and entrepreneurs can invent and scale the innovative technologies needed to accelerate innovation and the foundation must be built upon large funding commitments for basic applied research. As TAEBC continues to connect business executives, researchers, economic developers and investors with interests in advanced energy, much as the Breakthrough Energy Coalition is striving to do, our efforts will undoubtedly intersect with and support this new coalition. It’s encouraging to see that the world recognizes what TAEBC has long known, that collaborating and connecting assets can advance the energy economy not only for our state but for the greater world. As members, we should watch carefully the steps that Mission Innovation takes over the next year and consider how TAEBC may benefit from the initiative and likewise provide continuing support.